To kick off my summer partnership with Rocky Mountaineer, that fabulous luxury train that travels through the Canadian Rockies (Oh, wait. It’s not just Canada. Sorry, Seattle, didn’t mean to leave you out) and Seattle and … okay, let’s start again. 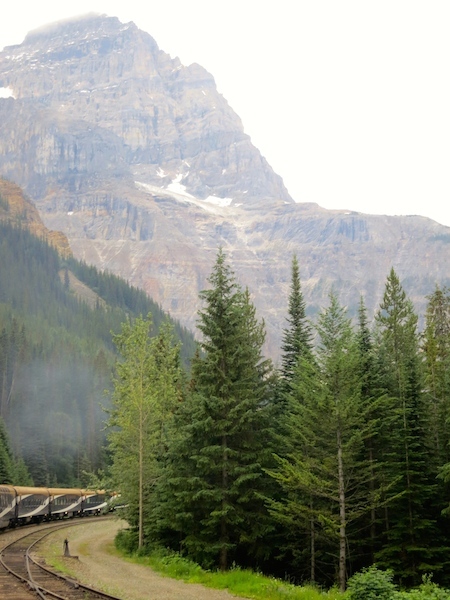 To kick off my summer partnership with Rocky Mountaineer, that fabulous luxury train that travels through the Canadian Rockies and part of the Pacific West Coast, I’m listing the top 5 experiences only a rail ride can provide – also known as why take the train. The train can take you through areas not accessible by foot or car. 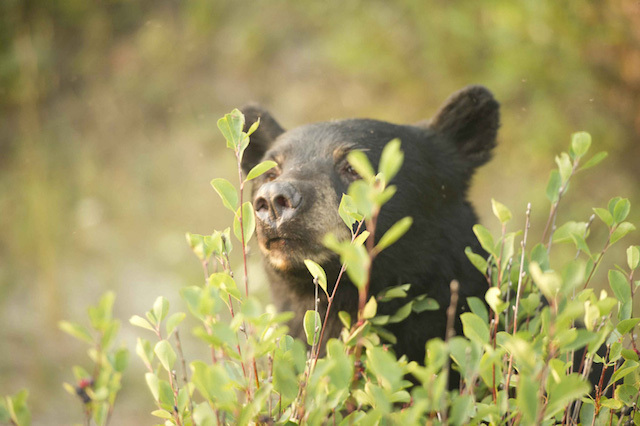 Example: Whistler, a remote area of the Rockies untouched by human hand. Wait, what? Whistler’s been touched? It hosted the 2010 Winter Olympics and has spas and 5-star hotels? Oh, okay then. How about the Journey through the Clouds route? Were the Olympics ever held on a twisty curve around a mountain near Pyramid Falls or Albreda Glacier? I rest my case. Were the Olympics held here? There’s no denying it. Flying over the Canadian Rockies at 30,000 feet is exciting. For about 10 seconds. You look down, see snow on a jagged peak, then clouds cover everything and you go back to your inflight movie. Who wakes up seeing this? And in the latest breaking train news: The Rainforest to Gold Rush route has just added SilverLeaf Service (up until now this route had only RedLeaf and GoldLeaf Service). FYI: SilverLeaf Service lies somewhere between ultra luxe-y GoldLeaf Service and very nice RedLeaf Service). Traveling by car or plane can cramp your style, literally. 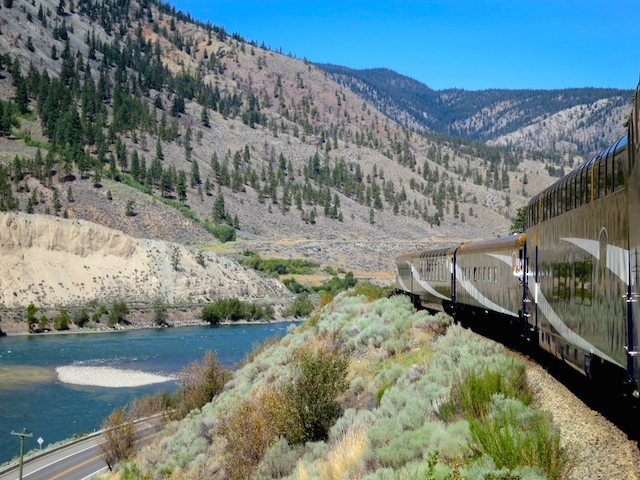 Trains give you space to stretch out in, lots of legroom, freedom to roam around and, in the case of luxury trains such as the Rocky Mountaineer, a chance to enjoy fresh air (and wind blown hair) while in the open-air vestibules. and because that’s the section I traveled in and you should always do exactly what I do (unless you don’t want to, then just carry on). Goodbye fast-food road-trip burgers and pre-packaged airplane meals. 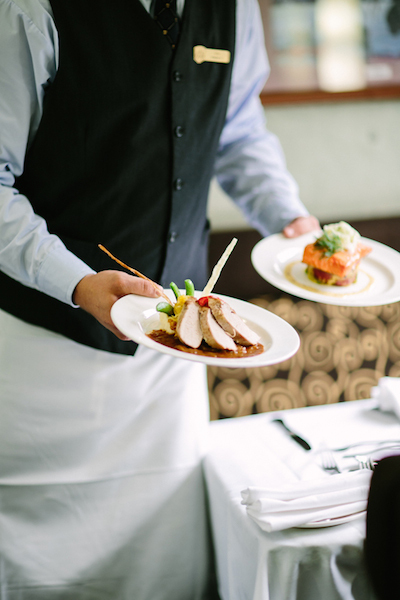 Traveling on a luxury train lets you enjoy fine dining and wine while on the move. For example: If you’re in GoldLeaf Service, you might eat things like … hot dogs and old muffins. I’m kidding! Think Canadian Barley Risotto, Last Spike’d Beef Short Ribs slowly braised in Okanagan Valley Merlot and Wild Pacific Salmon, all served with award-winning Okanagan wines. More breaking train news: Rocky Mountaineer has recently bumped up their SilverLeaf Service culinary options, renewing their focus on fresh local ingredients and gourmet snacks. Yes, I will have some more Earl Grey scented trail mix, thanks. Did someone say culinary excellence? 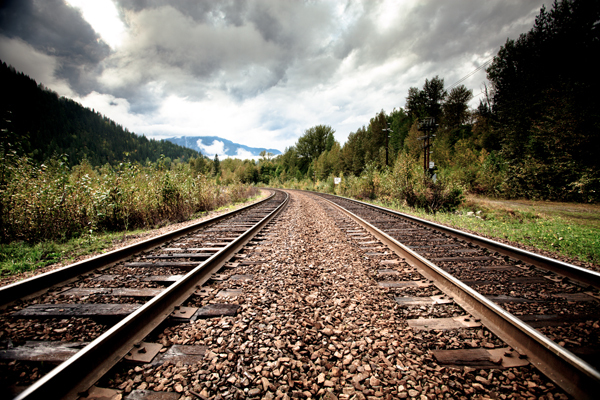 Nostalgic train route example: The First Passage to the West from Vancouver to Banff passes no end of historic landmarks from the early days of the National Railway and the Canadian Pacific track, the line that helped unite the country and linked British Columbia to the rest of Canada. We’re talking about things like the Last Spike here! This is exciting stuff. 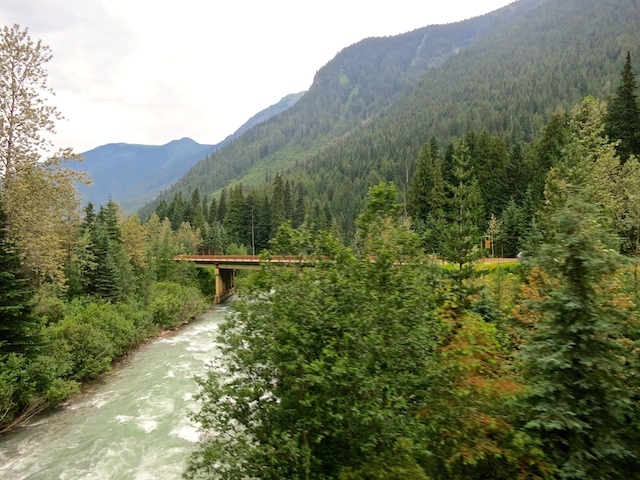 To help you relive the days of yore (because we all need more yore) during your trip, Rocky Mountaineer team members will regale you with historical soundbites about Canada, the surrounding areas on your route and the development of the train tracks. Try getting that on an airplane. Once again, I rest my case. Happy traveling. 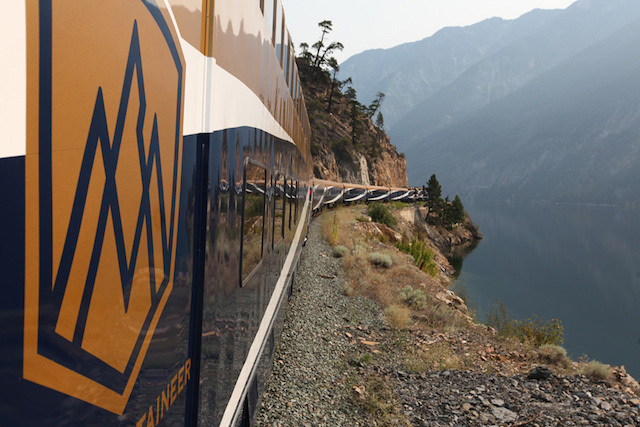 For more information and to book a train trip visit the Rocky Mountaineer website. So beautiful! Luxury trains are the way to travel! Beautiful photos and post Carol. 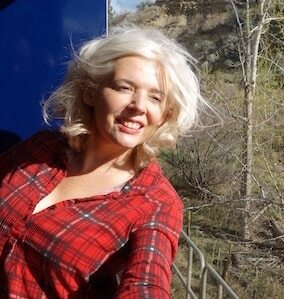 I am inspired to hop on the Rocky Mountaineer. I feel the same way, Jessica. I love the train – and it sounds as if everyone else here does, too. I absolutely love the train! There’s just something about it that makes it so much better than any other form of travel! When I look at your photographs I really want to be in the mountains on the train with Gold-leaf service! I was just talking to someone who said their dream was to take the train through the Rockies; I’ll have to forward this post to her. 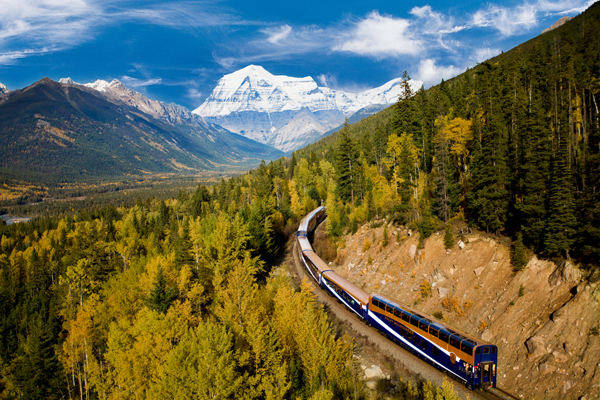 I love rail travel, too, and would love to take the Rocky Mountaineer’s Clouds or Coastal Passage routes. Inspiring pics. 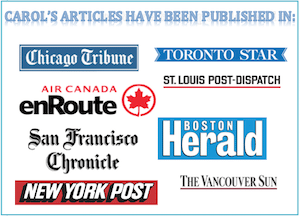 I once travelled coach from Winnipeg to Vancouver so thought I knew about train travel. But wow, the Rocky Mountaineer sounds more like a rolling restaurant than a mode of transportation. I’d love to try that Canadian barley risotto (or anything else for that matter). And those views. sigh. 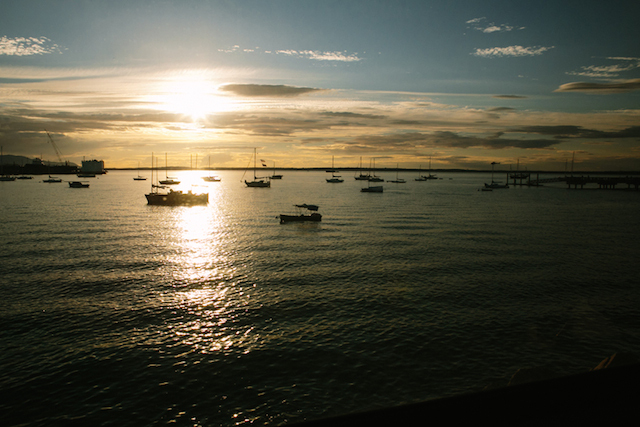 Those views are just stunning and would be one of my top tips to travel by train. I love train rides more for the scenic view than the comfort. I would definitely love to take this train ride. What a great gig. Congrats Carol ambassador extraordinaire! I need no convincing…although your reasons were quite compelling! Train travel is such a Canadian experience (yes, I know a few other countries have trains, but I don’t care!). It is, after all, the main thing that hooked all this geography together. I love the sound of the uber luxe level of service. Bring it on I say. Bring it on. The train sounds like a lot more fun than driving through the Rockies on the Trans Canada highway in summer, clogged with campers and RVs. I’m jealous of you and another person who gets to go with you on this one. It sounds great…view and food. You are right about the nostalgia thing. I used to go with our grandmother to Jasper on the train. Fond memories.